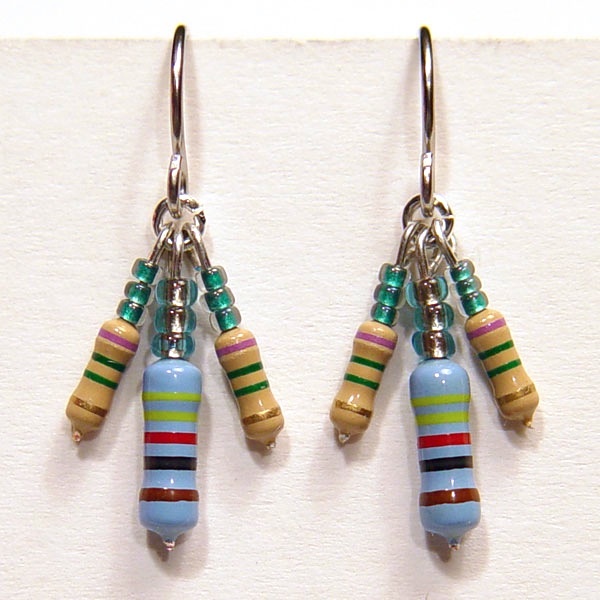 Silver coated shepherds hook earrings with real electronic resistors. 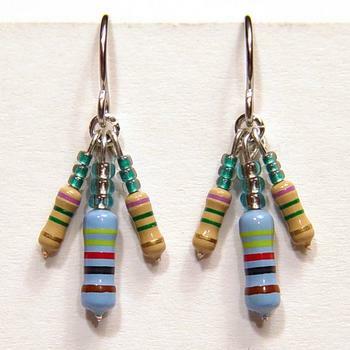 This set comes with 3 resistors per earring with 1 large and 2 small. The color bands (resistance value) may vary from pair to pair. Glassy green seed beads make up the rest of the design.